FEATURED ON THE COMPANY WEBSITE.... HOLY FUDGE MONKEYS!? Been having the urge to post all week, but have had zilch time to do so again. what a strange week... SO my faaav magazine Company, which I look foward to every month currently has me featured on their website!!! 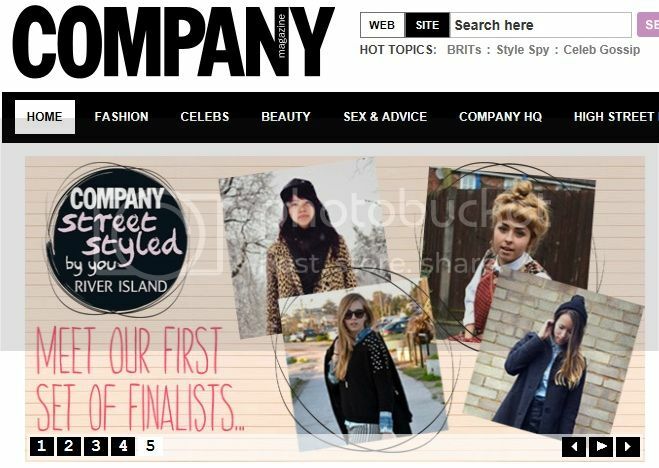 I squinted, wriggled my nose, and blurted OH SUGAR MUFFINS rather loud..
For ones who havent heard about River Island and Company colab-ing to find a future stylist-to-be to style their own section in Company's MAY ISSUE!!! I want this BAD. I didnt have much hope when I sent my pic in via twitter to river island, wasnt expecting to hear anything at all since I have abso zero amount of luck when it comes to comps. 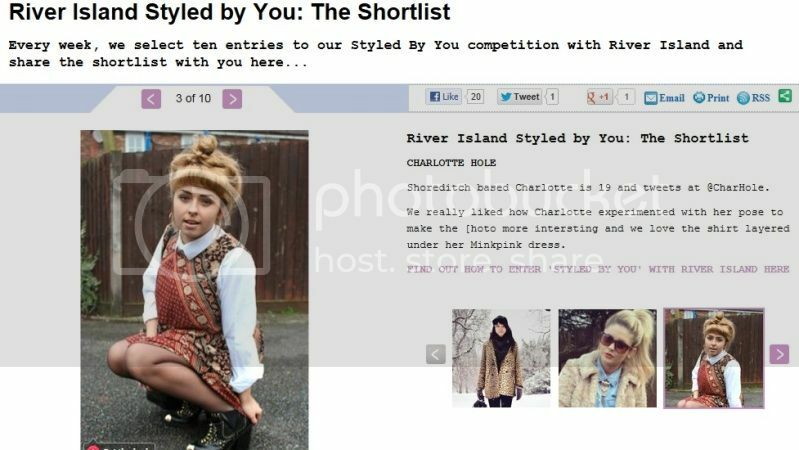 But the comp isnt over yet, and theres some other amazing fashionistas apart of it too! But being on the Company website is a big enough achievement for me! Could had melted in ma shoesies when I saw I had a wee section about me too, this is a first! Anways just thought I'd share this with you all since I am super excited about it!! Have a new outfit in store for you all, hopefully will get to share it tomorrow night after work! oh and a little clue, its a UO dress, 'shock' I hear you all say!